Technology adjacencies like facial recognition and workflow orchestration offer differentiation. At its annual conference for channel partners in June, NEC shared a status report on its UC business and discussed how it intends to continue competing in the rapidly transforming communications and collaboration markets. First, NEC shared data from telecom advisory firm T3i Group showing it's leading the industry in number of communications lines shipped (licenses/devices), with a 13.3% share of the total. In fact, the NEC enterprise team indicated the communications business grew 5% globally in 2017, meeting its goals. In North America, a 2% growth exceeded the industry average, NEC claimed, for a gain in market share in 2017. However, line share for Cisco, Avaya, and Mitel is very close. In fact, the lowest market share of the three, for Mitel, is 11.3%, according to T3i Group. So, the top four industry players are separated by less than 2% of share, and together have about 50% of the market. Of course, these are worldwide figures, and while NEC enjoys a strong presence in Asia and some other global markets where TDM -- basic telephony -- is strong, the other three are stronger in North America. As a result, NEC's overall revenue per line may be lower than some competitors'. This is because it sells more basic, competitively priced telephony lines than higher-value UC lines in Asia and elsewhere. At its Collaboration Summit earlier this year, Cisco estimated that 47% of the total North American communications line market is still TDM, which by my estimation places the slower adopting global market (North America included) at about 55% to 60%. Overall, two things became clear at the conference. First, NEC is focused on verticals in which telephony is a strong buying influence. Verticals like healthcare, education, and hospitality are defined by having large numbers of service and information workers and a dominant percentage of endpoints being traditional telephony devices, without advanced collaboration needs. While the advent of team collaboration tools (potentially used without significant collaboration, as I've written previously on No Jitter) may change this dynamic, today these are major verticals that require telephony first and extended business communications features second. This is a clear focus for NEC and its channel partners, as evident from the discussions and success stories shared at the event. Note that this extends to the contact center, for which NEC said it's well-positioned to deliver for organizations that have large telephony requirements. The second focus is on business communications adjacencies that are part of the NEC portfolio. In a recent No Jitter article, I discussed how adjacencies have been critical to the Cisco and Microsoft rises in business communications. Additionally, I argue that adjacencies may define the next wave of transformation. NEC is a large industrial conglomerate with a focus on electronic solutions, including servers, storage, and a range of other IT components. At the event, two major adjacencies took center stage. The first is facial recognition, technology in which NEC has invested heavily and is ahead of the industry. 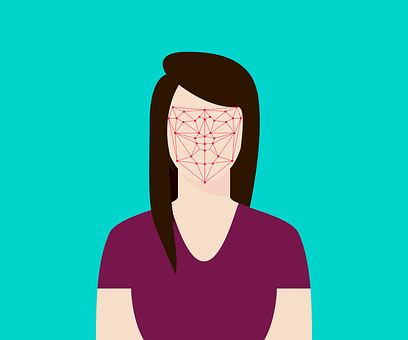 In fact, in National Institute of Standards and Technology (NIST) testing of facial recognition algorithms for speed and accuracy, the NEC solution regularly has received top honors over the last few years. Clearly facial recognition has several values in communications, so NEC is focusing on that technology as a lever.